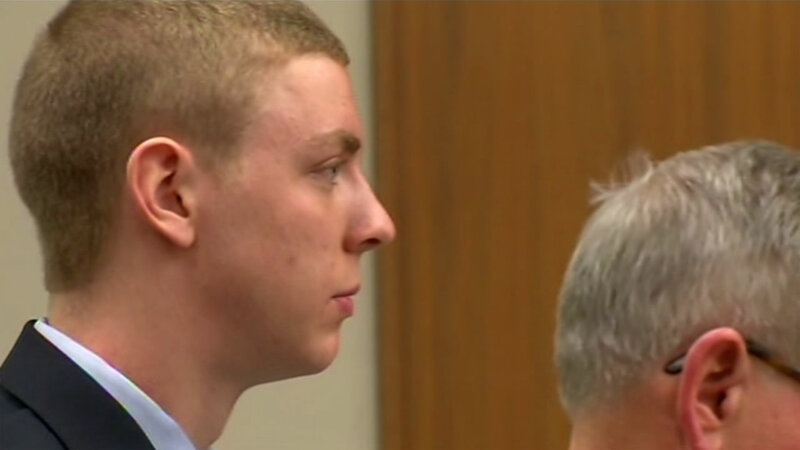 STANFORD, Calif. (KGO) -- The outrage over what some call a light sentence for a Stanford swimmer convicted of sexual assault has prompted graduating seniors to plan a protest before this Sunday's graduation. This comes as new pictures have surfaced that prosecutors say prove Brock Turner partied and used drugs well before his Stanford days. Documents and pictures obtained by ABC News show a completely different picture of Turner than the one his family and lawyers described in court. In his sentencing for sexually assaulting an unconscious woman outside a frat party near a dumpster, the top tier Stanford University swimmer wrote to the judge: "Coming from a small town in Ohio, I never really experienced celebrating or partying that involved alcohol." Prosecutors however wrote that at an apparent party, Turner, wearing his Stanford swimming shirt, is holding a bong. The 20-year-old told the judge he doesn't "do illicit drugs." But prosecutors say, an image shows him smoking a hash pipe before college. And there were harder drugs proven in text messages. The Palo Alto judge who presided over the case and considered those documents is angering many people for sentencing Turner to just six months in jail. "They're threatening. They use a lot of profanity. They hope that he dies. They hope that his kids gets raped," said Santa Clara County Deputy public defender Gary Goodman. Now, one of the guys who ran to help the victim when he and a friend say they saw Turner on top of the woman, is speaking out. "She wasn't moving," said Stanford assault witness Carl Frederik. The Stanford University graduate student says he's still in shock over what he and his friend say they witnessed that night. "It's something that's very emotional and tough thing. It's something horrible to think about," Frederik added.